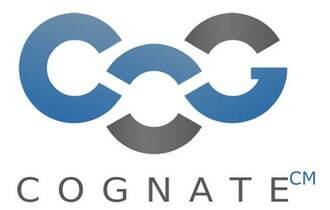 GoDaddy takes on Cognate team. Cognate, a trademark-in-the-blockchain company, is joining GoDaddy. I interviewed Cognate founder Bennet Collen on the DNW Podcast last year and he explained how the company uses blockchain to record proof-of-use of trademarks. The startup announced the news on its blog today. We’re going to be working hard with the GoDaddy team on future trademark and documentation management services – there are some exciting things on the horizon! If you’re an existing Cognate customer, we are sending you an email with more information to address questions or concerns you might have. Any information that has already been recorded on the blockchain remains there in perpetuity (which is why we adopted blockchain in the first place! ), and in the future we’ll release a tool that will enable you to access that information. Another domain name company, Donuts, invested in Cognate earlier this year. Heading to WHD next week? Here are some interesting sessions. What is the ‘CM’ hyperscript? CognateMark ? Yes, it’s the symbol they created to represent a mark registered in the blockchain. Will Brandroot still force Cognate down its sellers throat for $60 after this acquisition by GoDaddy?